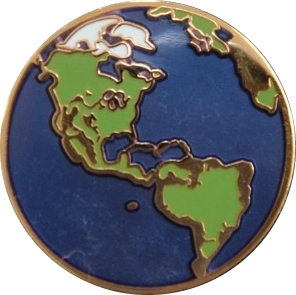 earthpins are lapel pins of the Earth. Choose views of Africa and Eurasia, the Americas, Australia and Asia, and more! Show Your Pride in Our Planet! Remember that EARTH DAY is APRIL 22!